Dude, that is a fantastic improvement! 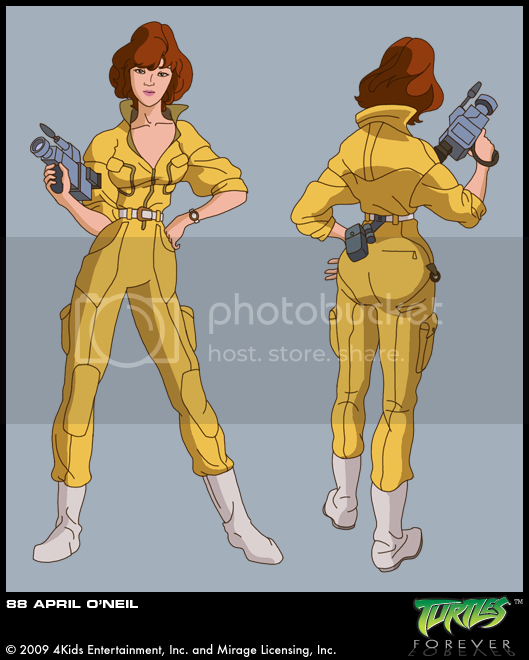 I see you also rendered some of April's pockets and jumpsuit details, as well as the clothing folds. Your overall progress has been fun to watch over these last few years. Talk about an Acid trip! this time around, the texture attempt is with toon render. I will render again with texture from the actual show.. 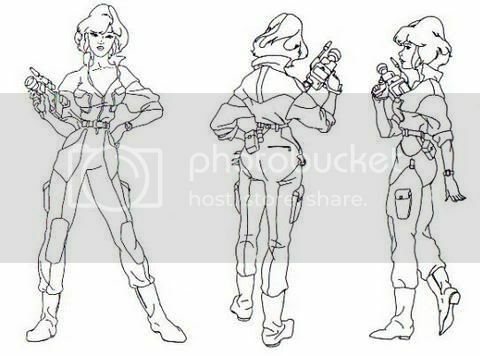 I think April's proportions are just about perfect. I think the face still needs some fine tuning however. I think the chin looks a little too big and wide. It doesn't need much work, but it may benefit from a slightly more cone-shaped design. EDIT: or maybe egg-shaped. I can't really express it. Maybe experiment with some slightly largely eyes too, as those will benefit animation. Man, that's almost spot-on from the cartoon! The colors are terrific! You might wanna add a zipper seam down the front of the jumpsuit and perhaps some seams around the shoulders. Whoa, thats some really amazing work. April looks pretty good, love how awesome donatello looks. I think u did an amazing job though, really top notch work. The models are cool, the animation is great and the fact that you have done the intro complete is impressive. I am using Mental Ray.. Unfortunately, I never got beyond basic rendering and lighting. These are all the standard options with nothing changed.. The latest changes. Now only the arms look like they could use a tad bit of work..
Last edited by oldmanwinters; 04-12-2011 at 10:13 PM. Not to sound like a letch, but did they remove April's cleavage from that model? Now that April is done, What is wrong with Krang? What can we do to make him more show accurate? Last edited by Vegita-San; 04-13-2011 at 12:58 PM. A few minor changes...what's wrong with this model? Last edited by Vegita-San; 04-13-2011 at 02:07 PM. This one's sword is OK. While waiting on Krang reviews, here's another one. My base Turtle Model with skin color directly from The Big Blow Out. Now, what is wrong with this model?